Could Gerty’s parents be aliens from another world? Where did all of this alien stuff below their house come from? 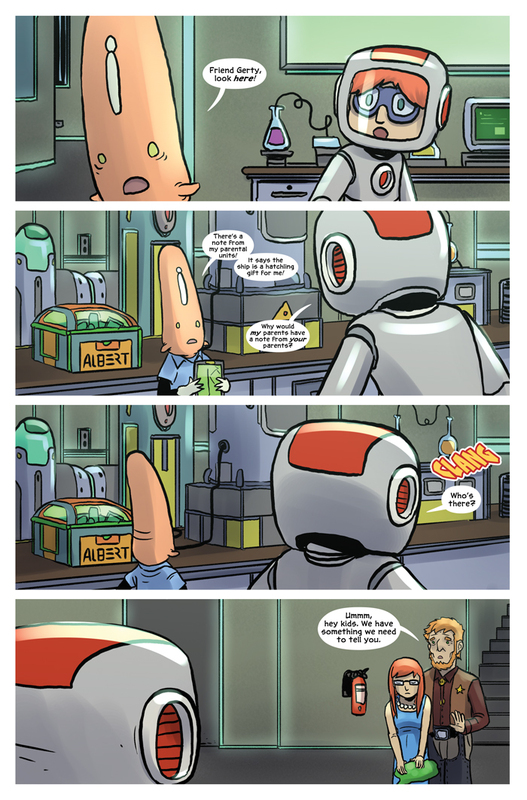 Only one more page remains in this chapter of ALBERT THE ALIEN!! !